This map shows the existing Gisborne Business Park and the proposed area of expansion. The future mapped for Gisborne Business Park could completely change the New Gisborne area it sits within but now the community can have its say. 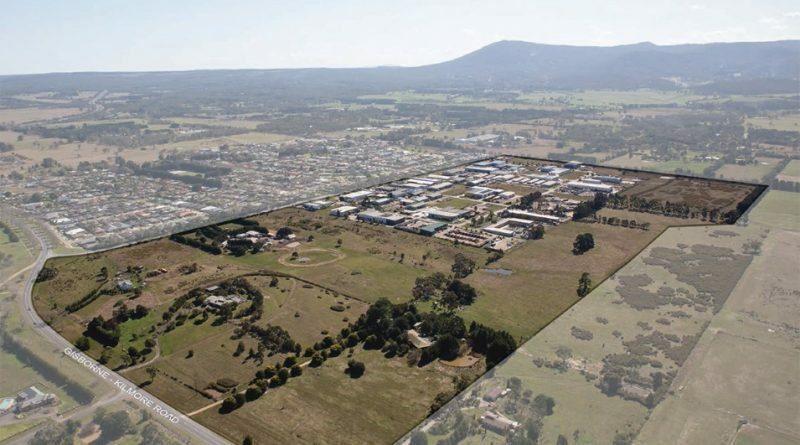 About 29 hectares of Rural Living Zone land has been earmarked for industrial and commercial development in a proposed amendment to the Draft Gisborne Business Park Development Plan. 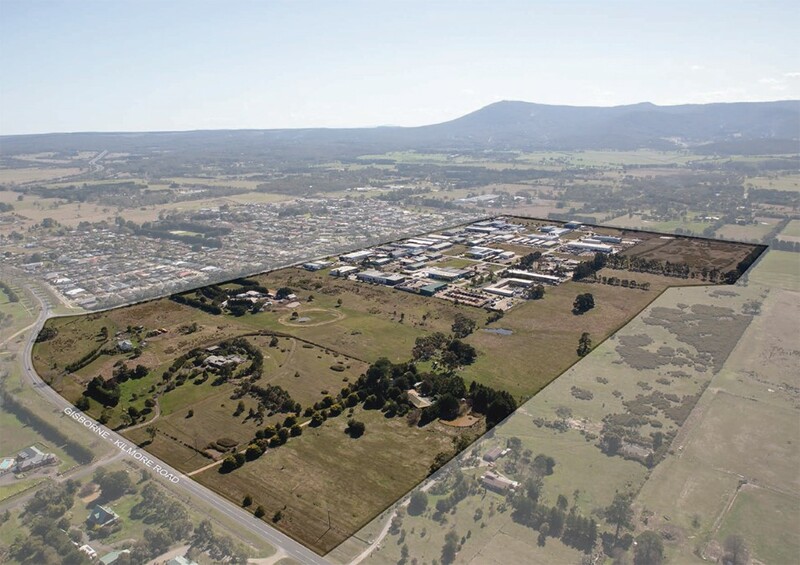 The plan aims to lay groundwork for a ‘future employment expansion’ south and east of the existing Gisborne Business Park. It will rezone land to create Commercial 2 Zone along the Saunders Road frontage with the remaining area rezoned Industrial 3 Zone. 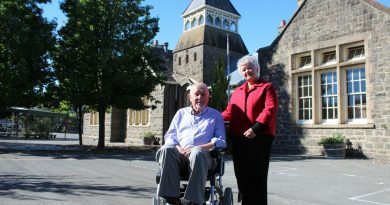 Macedon Ranges Residents Association has called the move “a complete game-changer” for the future of the area “with potential to split Gisborne into two commercial town centres”. The Commercial Zone 2 allows retail, warehouse and ‘bulky goods’ retailing such as white goods stores, supermarket and industrial land uses. Changes to council’s existing commercial and industrial guidelines were also proposed to provide greater flexibility for economic development. In December it was recommended the amendment be placed on exhibition but Cr Jennifer Anderson fought for further community consultation, arguing that many would not be aware of the proposed change. “My gut feeling is that the community needs to know about it first….It’s totally going to change the nature of this part of Gisborne,” Cr Anderson said. Cr Anderson questioned the need for commercial zoning and said there would be changes to look and feel along one of the town’s entry points. While Cr Anderson’s motion succeeded, there was some push back from councillors in the 5-4 vote with some believing the community was already aware of intentions to expand the business park. Investigation into the expansion was suggested in the 2009 Gisborne Outline Development Plan but not formally endorsed by councillors. The document also identified the need for additional commercial land from 2021. The draft business park plan also draws on the Gisborne Industrial Land Analysis (2009) which identified the need for an additional 23.3 hectares of industrial land required to 2021 to meet employment needs of Gisborne and surrounds. Cr Mandi Mees argued the ODP had clearly mapped intentions for the land and “public expectation had already been set”. “A high level of strategic work has been done and we need to keep in mind that the retail industry in our shire is 11 per cent of our economic development – it’s the third largest sector of our shire,” Cr Mees said. Cr Anderson’s motion was supported by Crs Radnedge, West, Pearce and Gayfer. Informal consultation will begin in February with notices to be sent to surrounding landowners and drop-in information sessions to be scheduled. The matter will come before council no later than May. 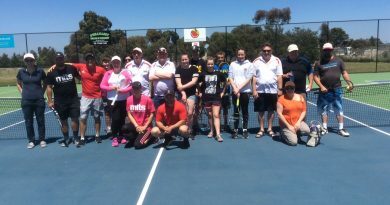 Liberal candidate for Macedon Amanda Millar met with members of the Riddells Creek Tennis Club to announce the news of funds for stage two of the courts development. 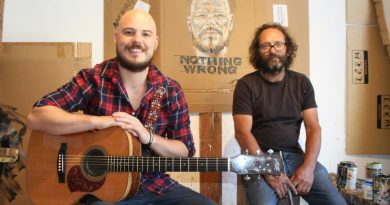 Singer/songwriter Taylor Sheridan has teamed up with local artist Daniel Butterworth for his EP cover for Nothing wrong.